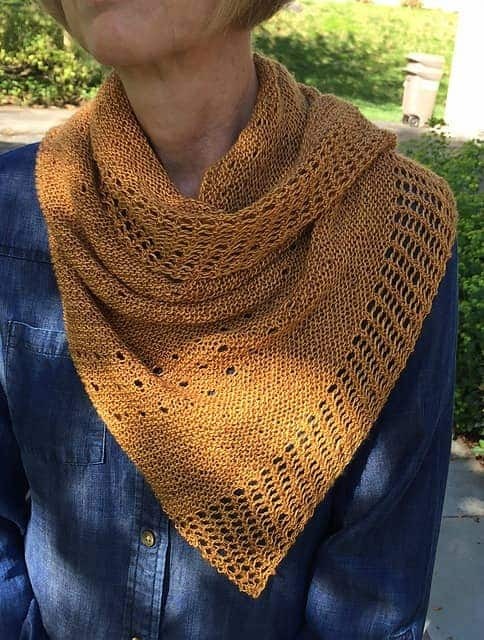 Janina Kallio’s Drops of Honey, which she designed for the Indie Untangled Where We Knit yarn club, is available for sale to the general knitting public today, so I thought it was the perfect time to post the beautiful FOs that have been made by club members. 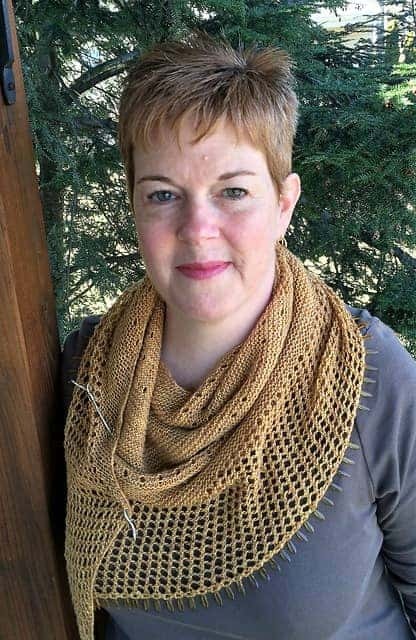 That’s mine above, with my Maryland Sheep & Wool 2015 Jennie the Potter mug, and I can’t wait to show off at the festival on Saturday! 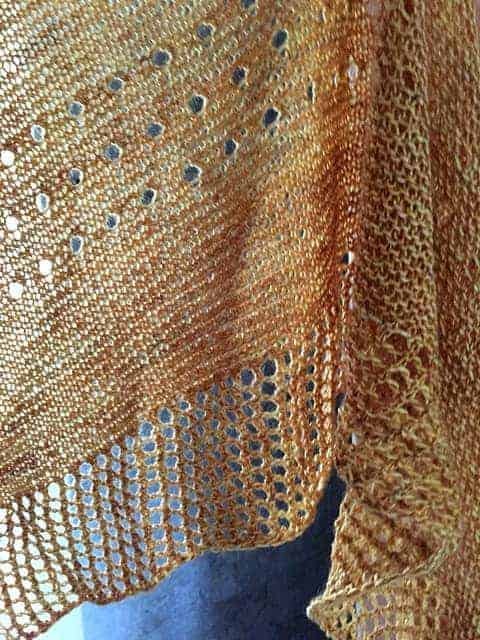 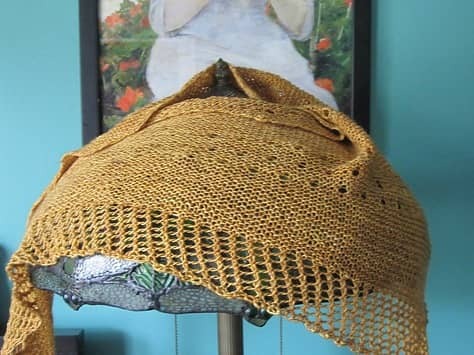 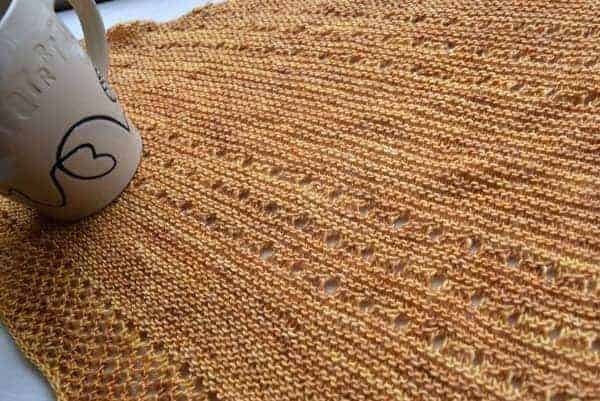 While the pattern matches perfectly with the Lakes Yarn and Fiber Drops of Honey colorway, which Ami dyed up exclusively for the club, this simple, elegant shawl would be perfect in almost any hue. 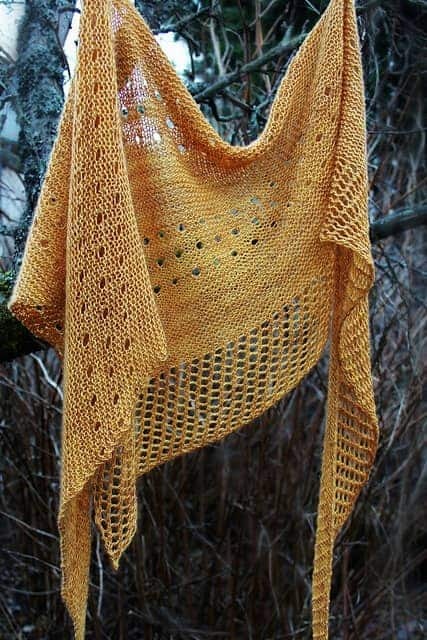 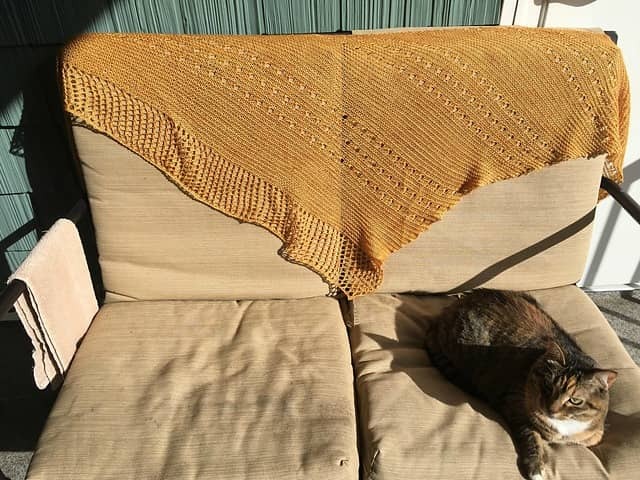 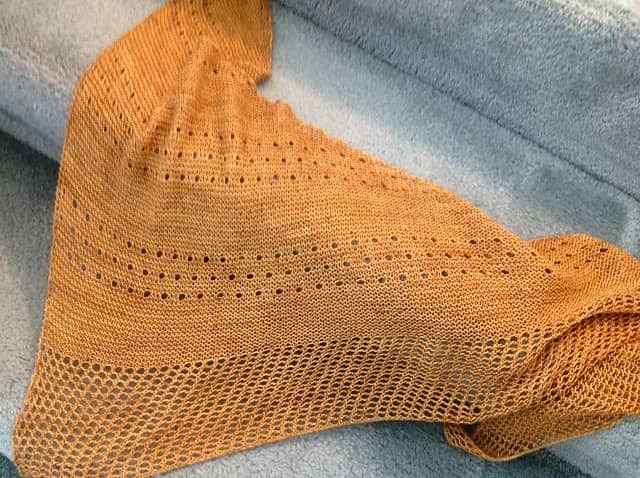 This entry was posted in Knitting Indie, Where We Knit yarn club and tagged patterns, ravelry, shawls, yarn club.